“Beautiful İzmir”, “Old Istanbul” and “La Perla de lIonia” (Pearl of the Ionian) was called. 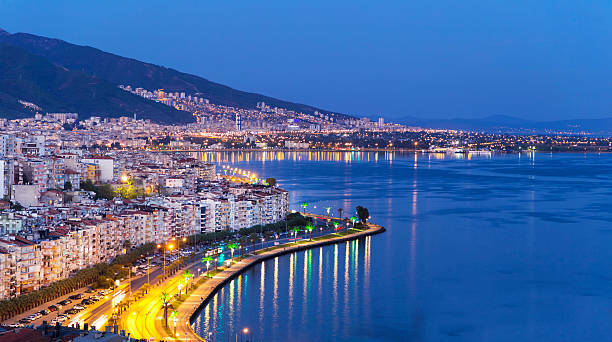 Izmir, yachts and is located at the beginning of a long and narrow bay surrounded by ships. palm trees along the beach, there are palm trees and wide streets. Port of Izmir is Turkeys largest port after the port of Mersin. Vibrant and cosmopolitan city Izmir, international art festivals and Izmir International Fair and also holds and important place.